Hidrocystomas most commonly occur in adulthood as asymptomatic single or less commonly multiple cystic lesions around the eyes. Examination reveals a dome shaped cystic nodule ranging in color from light brown to dark blue. 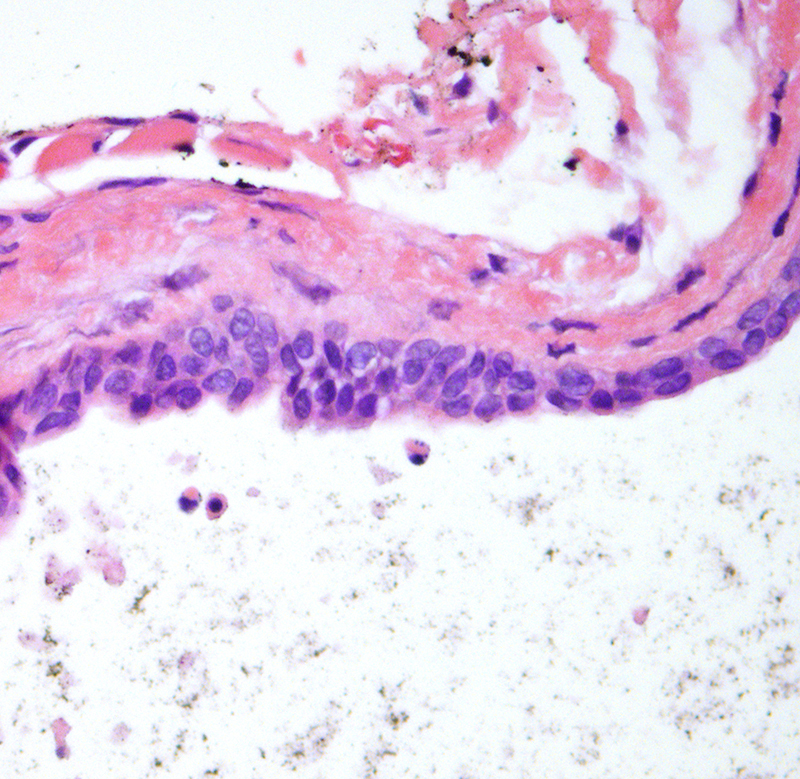 Blockage of sweat ducts with dilation of the duct and eccrine glands results in eccrine hidrocystoma. 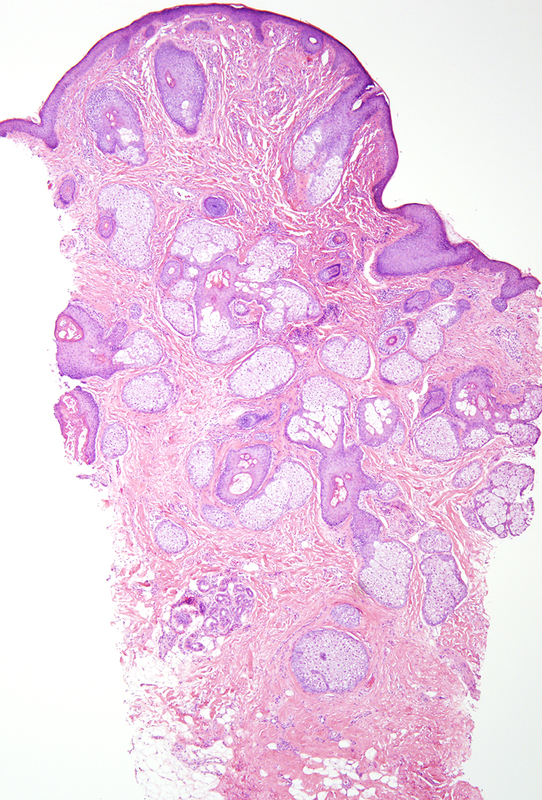 Histologic examination reveals a dermal-based cyst with 1-2 layers of cuboidal lining cells. Apocrine hidrocystomas also feature two layers of cells, an outer myoepithelial layer and an inner epithelial layer with secretory cells showing decapitation secretion and occasional papillary growths. Two inherited disorders that are commonly associated with multiple hidrocystomas are Goltz Gorlin syndrome and Schopf Schulz Passarge syndrome..